December falls during the “short rains” period in the Serengeti, and receives just a bit less rain on average than November. Day time highs are 28C and nights go down to 16C. At the start of the month, the Great Migration herds are in the Seronera region of the Central Serengeti, while towards the end of the month they are concentrated in the Southern Serengeti and Ndutu Region. December is a good month to catch the herds on the move from the Central to Southern Serengeti. Depending on the rains, the calving season may also begin towards the end of the month. 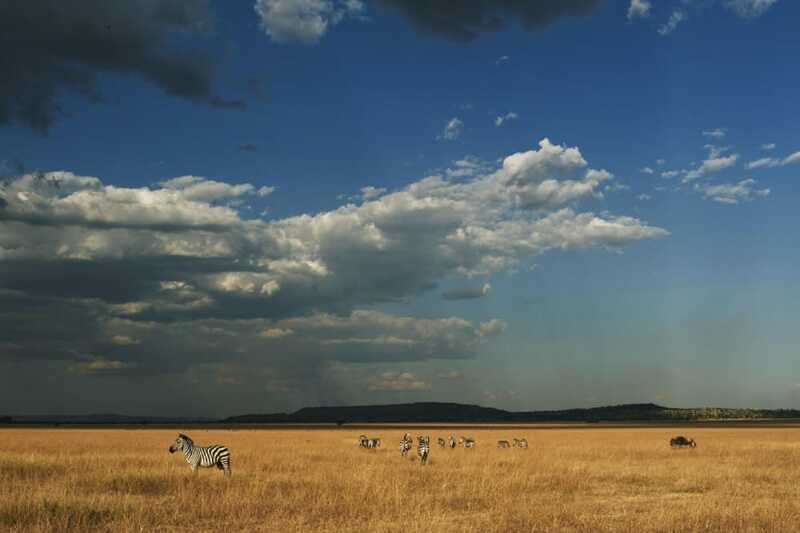 While December falls during one of the rainy seasons in the Serengeti, the afternoon thundershowers usually clear up quickly, so they don’t tend to cause much disruption to a safari. The rains have turned the plains of the Serengeti lush and green, and the skies are dust free, which makes for great photos.